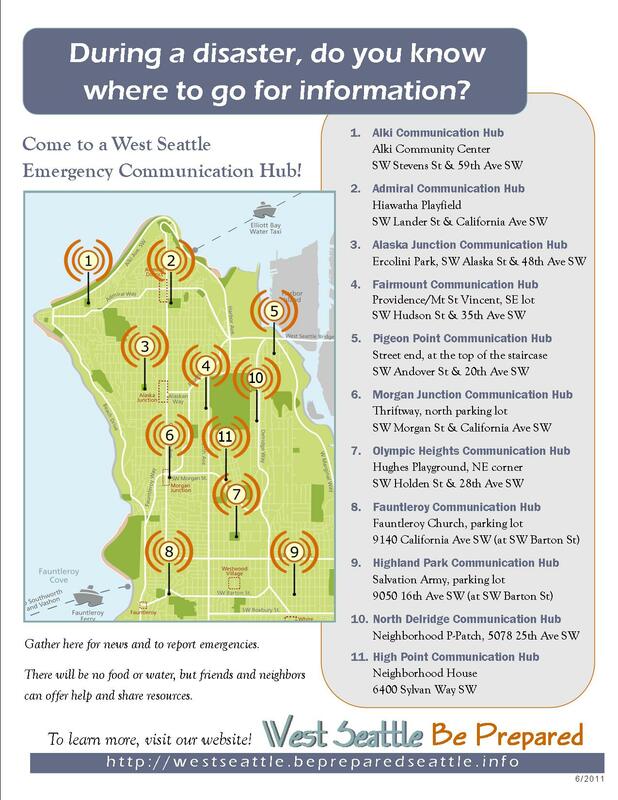 West Seattle now has 13 emergency communication hubs, as of summer 2015. You can find an updated map here. We haven’t yet had the opportunity to update these printable map posters that only show 11 hubs, but hope to do so soon. Other language versions are available from the drop-down menu above. We hesitate to take these pages down in the meantime, as it’ll cause broken links..so please bear with us!